Roger Cossack is familiar to television viewers as host of Court TV’s Open Court. UCLA-educated, this former Los Angeles district attorney and defense lawyer has a reputation for brilliance and street smarts in the courtroom and is widely considered one of America’s foremost legal experts and popular keynote speaker on legal issues and current events. He reflects on precedent-setting legal issues and their impact on society – from the legal side of the War on Terrorism to the first amendment and gun control – and tailors his remarks to suit your program needs. Cossack is also available to moderate a panel that you assemble to discuss the subtleties of a thorny legal issue that interests your group. 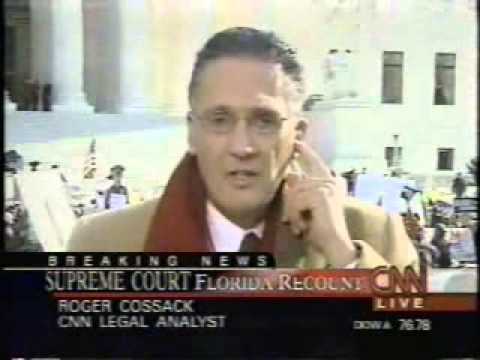 In June of 1999, Vanity Fair magazine called him “one of the movers and shakers of Washington.” Prior to his work at Court TV, Cossack served as CNN for 7 years as an on-air legal commentator and as host of one of the network’s most successful shows, Burden of Proof. Cossack puts his vast legal experience in the hands of your audience during this information packed presentation. He can speak to any business, community, or industry specific legal matter that is important to your audience. No matter what direction you choose to go in, you can feel confident in his ability to tackle all the latest legal issues of the day, including: gun control, the death penalty, the first amendment, and any other legal matter that is making the headlines. An expert at leading discussions and facilitating dialogue, Cossack will create an informative and entertaining environment where opposing points of view can be turned into positive progress. A former law professor, he is also excellent at managing the Socratic Dialogue approach to discussing an issue. Regardless of the subject, get ready to have a great time getting to the heart of the issue.